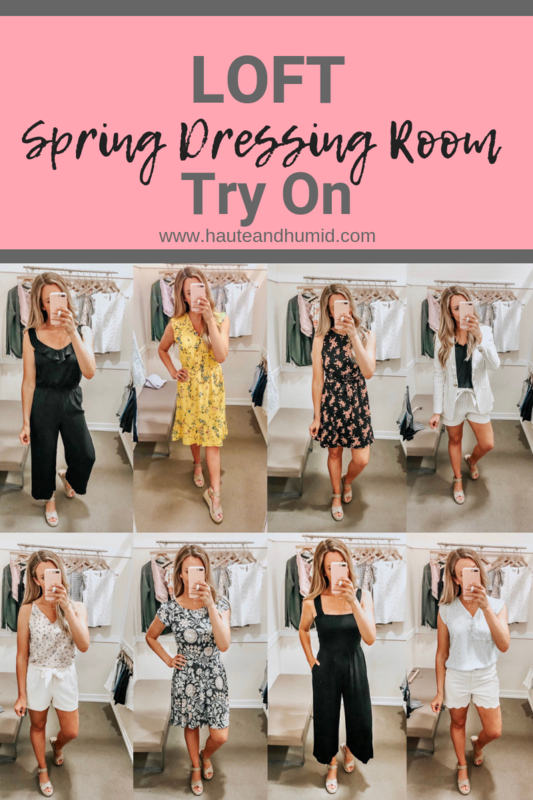 This week’s LOFT favorites Spring Dressing Room try on is geared towards all things SPRING! 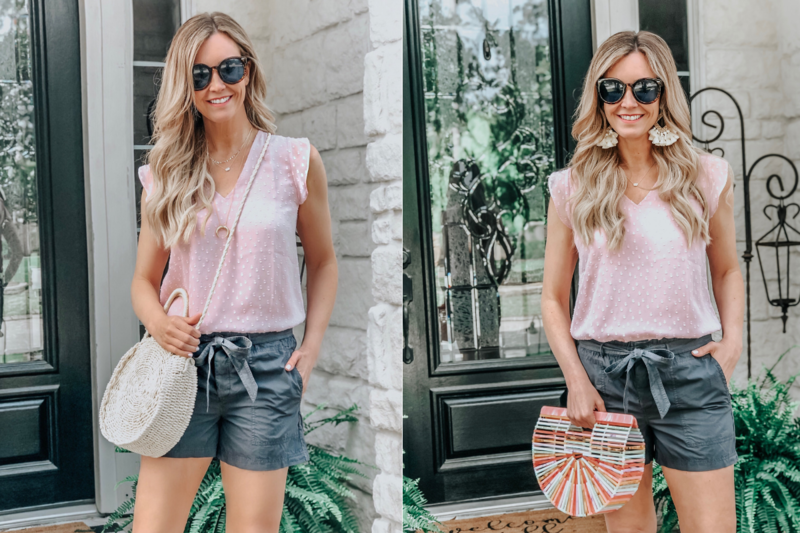 Dresses, jumpsuits, shorts and spring tops. 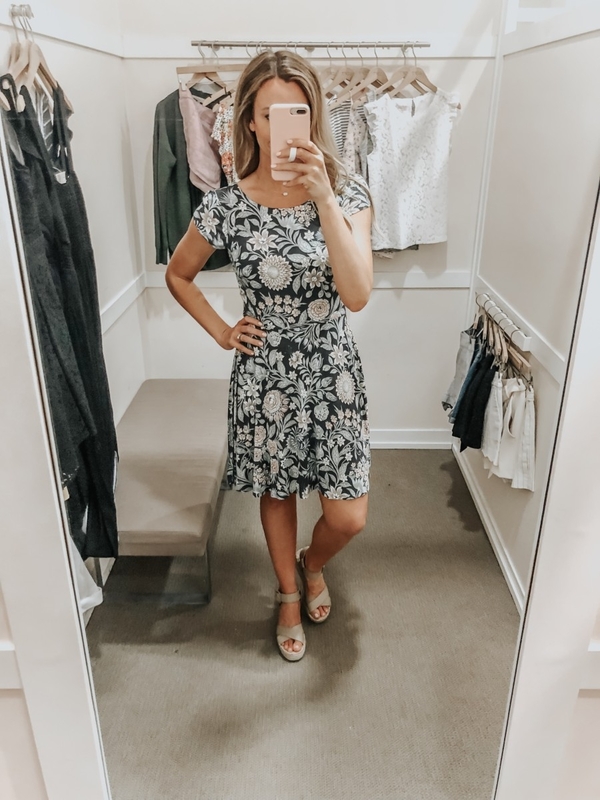 Loft often has daily sales on different categories such as dresses or tops so check back frequently! Most of these pieces can be taken from work to weekend or even a spring wedding. Currently there is as sale on DRESSES and some JUMPSUITS! For reference- I am 5’9 and typically wear a small in LOFT dresses, 4 in shorts and small in tops. 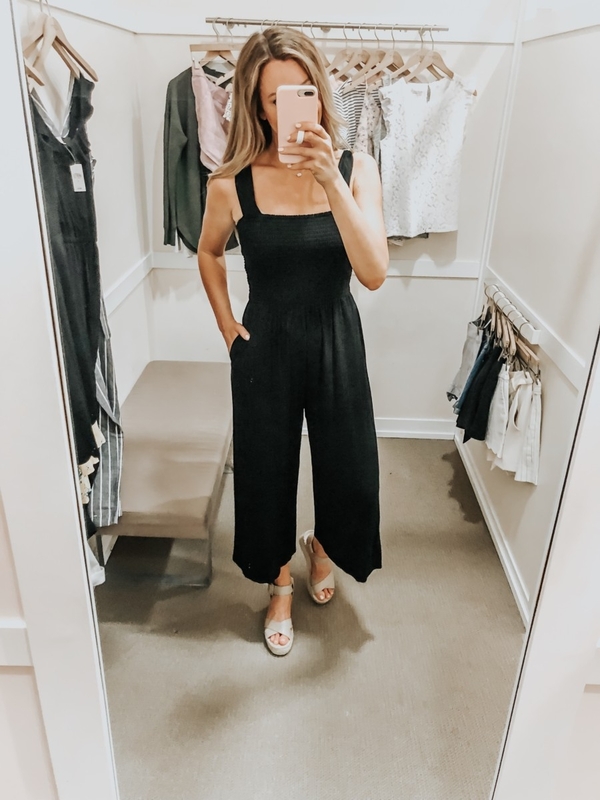 JUMPSUIT (S) // SANDALS (go down 1/2 size) // LOOPY PHONE CASE– Use code SARA10 for a discount! 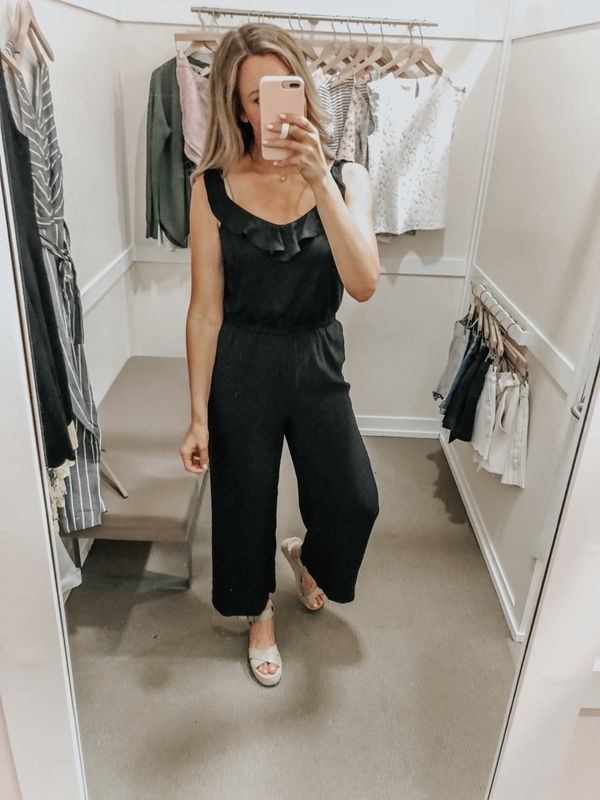 *This jumpsuit was amazing! I bought this one because it is perfect for day to day, beach, dinner, etc. 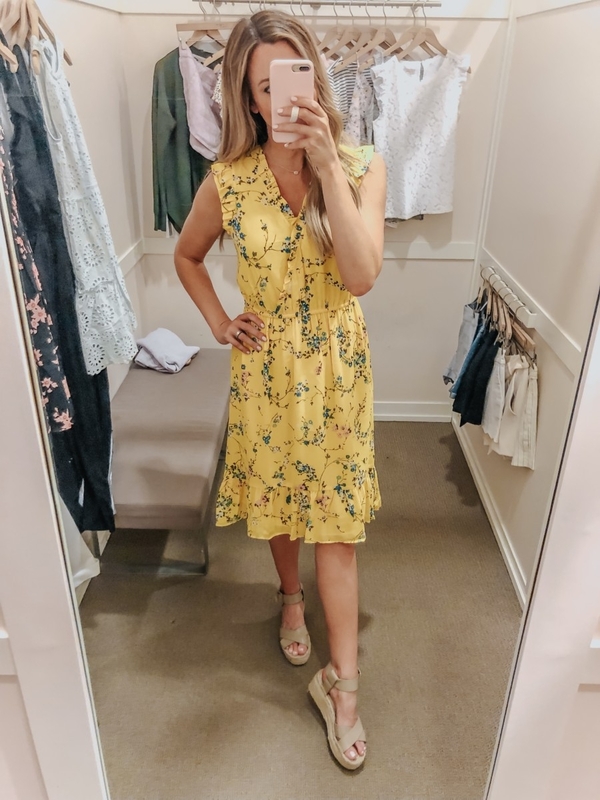 TIE FRONT FLORAL DRESS (S) – you can also tie this in the back! FLORAL OPEN BACK DRESS (S) – I LOVED how this dress fit but I cannot find it online yet. I’ll let yall know when it is available. LACE LBD (4)- LOVE LOVE LOVE this dress. 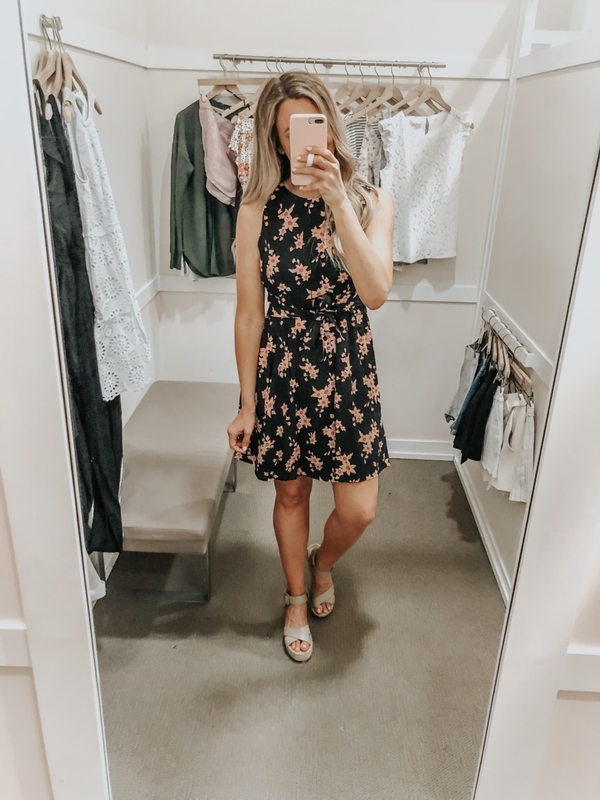 If you need a new or updated LBD I HIGHLY recommend this one. 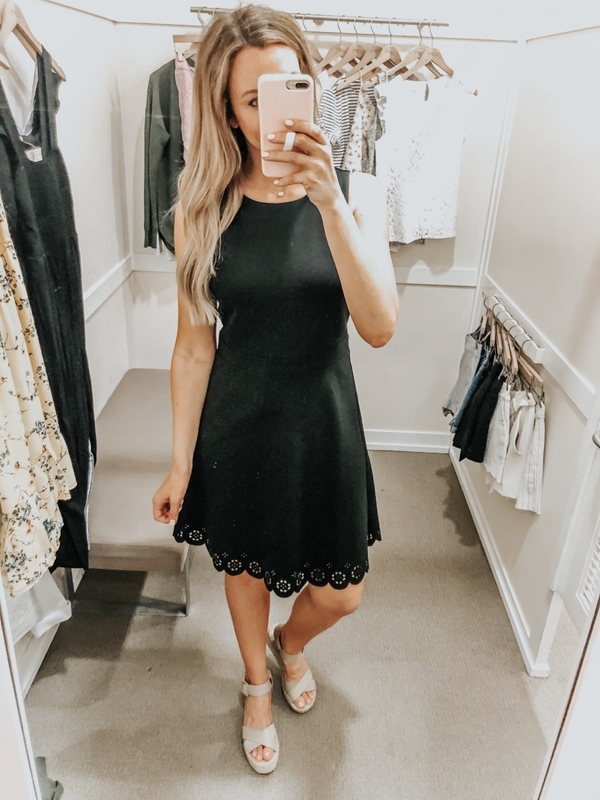 EYELET TRIM LBD– This dress was also gorgeous and very flattering. Honestly I wasn’t a two piece set kinda gal. I saw this and thought what the hay I’ll try it on for shits and giggles. I’ll be damned if I didn’t love it. Moral of the story…you won’t know unless you try it on friends! Sometimes we all need to step out of our comfort zones. I especially loved that you could wear each piece style separately. 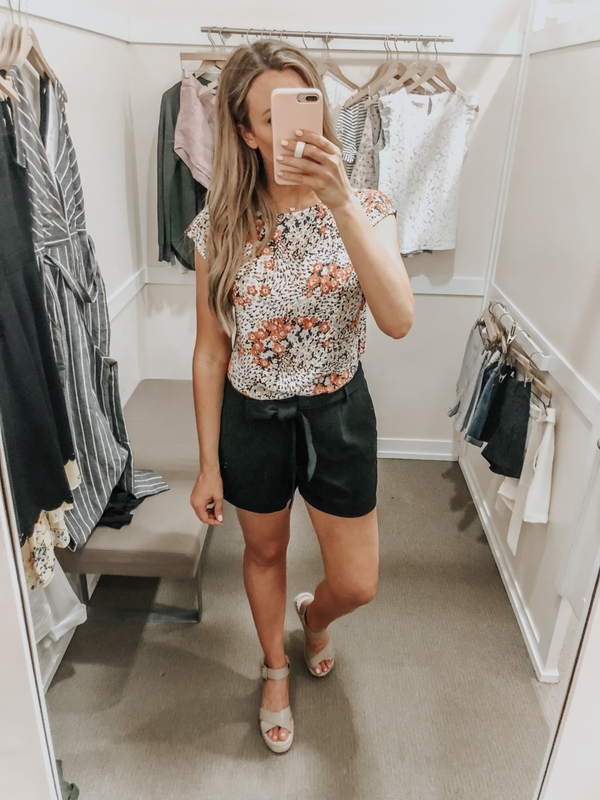 FLORAL TOP (S) // SCALLOP SHORTS (4) – Selling quickly. I’m wearing a 6 here but the waist was a smidge big. 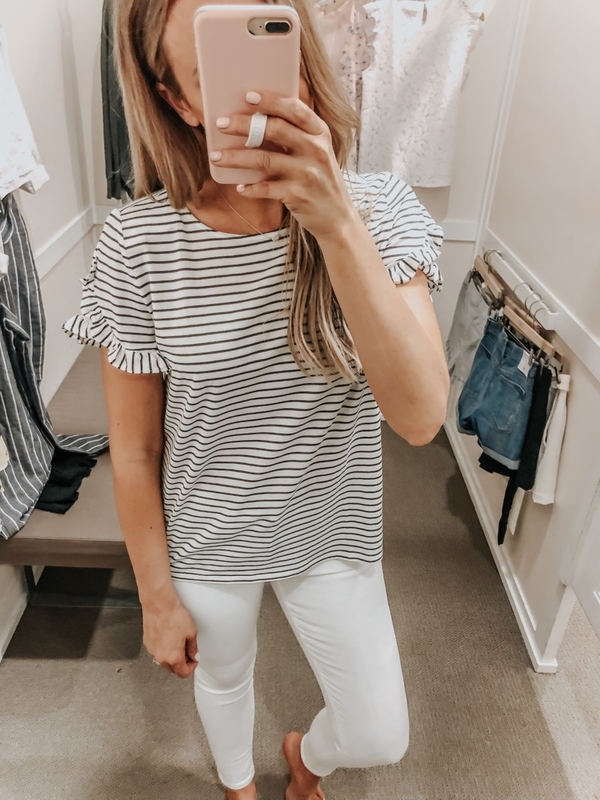 Loving this LOFT Favorites feature? 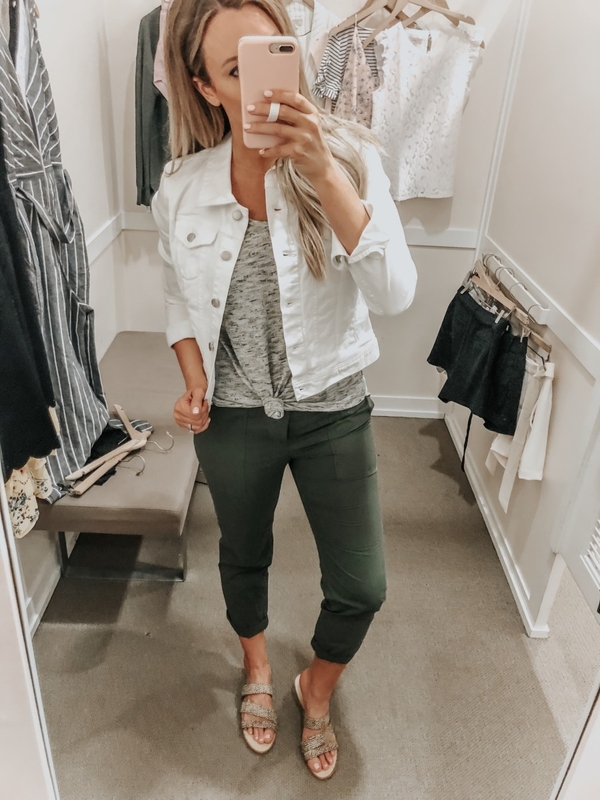 Take a look here for more of my Fashion favorites!! !